The Honorable Patricia Fahy, New York State Assemblymember representing the 109th District, joined officials from WNYT-NewsChannel 13, St. Peter’s Health Partners (SPHP), and the Times Union on June 1 at the New York State Museum to recognize “13 Kids Who Care” – children and teens from throughout the Capital Region whose volunteer efforts make the region a better place to live. 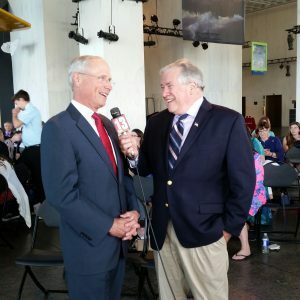 Bob Kovachick from WNYT-NewsChannel 13 interviews Dr. James Reed, president and CEO of SPHP, at the 13 Kids Who Care reception at the NYS Museum. Joining Fahy, Kovachick, family members, local dignitaries, and Capital Region school administrators and teachers in honoring the “13 Kids” were WNYT General Manager Stephen Baboulis, SPHP President and Chief Executive Officer James K. Reed, M.D., and Times Union Associate Editor Mike Spain. 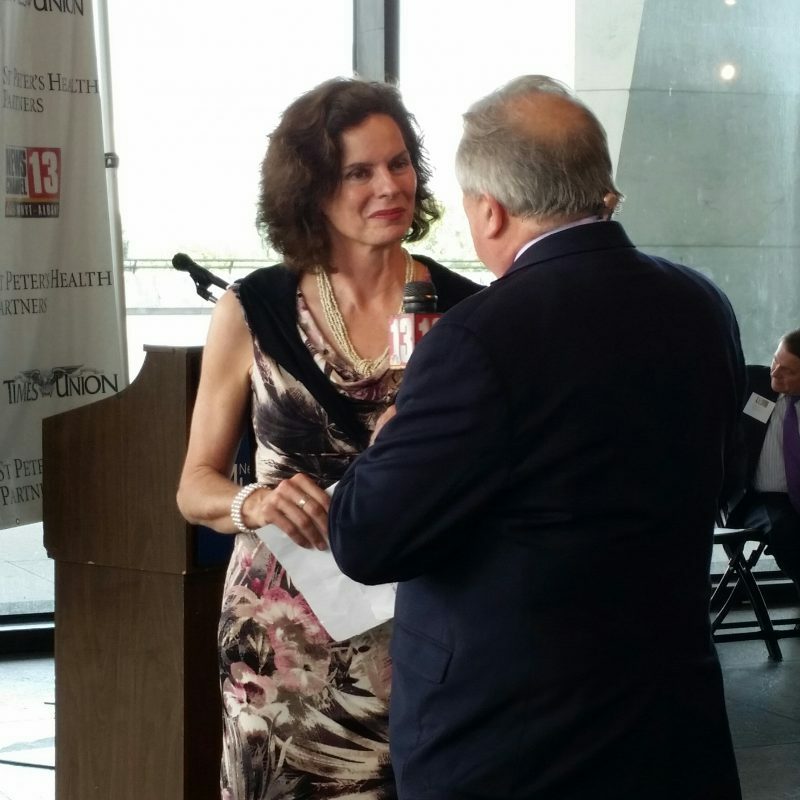 NYS Assemblymember Patricia Fahy, 109th District, talks to Bob Kovachick from WNYT during the 13 Kids Who Care event at the NYS Museum.